It's been a long, complicated journey to get to this point, but this afternoon the city's Community Development Commission unanimously approved the proposed development at the long-shuttered Maryville site. Next in the process towards full approval are hearings before the Department of Planning and Development (DPD)/Chicago Plan Commission, the Zoning Committee of the City Council, and the full City Council, followed by votes by each. Since 2009, when then-46th Ward alderman Helen Shiller first floated the idea of creating a Montrose-Clarendon TIF to spur development of the 3.5-acre site, it's been controversial. Ald. Shiller's original TIF plan called for developer Sedgwick Properties Development Group to receive more than $60 million in TIF funding, which it planned to roll into a $500-million three-tower development. That development would have included more than 1050 residential units, 1100 parking spaces, a hotel, a health club, a supermarket, and other retail. The plans been considerably downscaled since then, with the current proposal calling for JDL Developers and Harlem-Irving to receive $15.8 million in TIF funding to create a $121-million mixed-use project featuring 381 residential units and retail (probably a supermarket and restaurant). They would also pay $4.8 million up-front to start redevelopment and rehab on the deteriorating Clarendon Park Fieldhouse. The site has not generated any taxes in decades. Any tax money received from the new project would be generated by the new project. There is no money whatsoever in the current TIF account. The property would bring in property taxes and sales taxes to the city for the first time in forever. 3.5 acres is a huge amount of land to be sitting around tax-free. More money will be generated for city and social services. Five percent of the units would be affordable units. There is no housing, affordable or otherwise, at the site, and there hasn't been in a very long time. No one will be displaced, since the property has been empty since at least 2005. The developers would put $5.7 million into the Low Income Housing Trust Fund, which subsidizes the rents for many Chicagoans, including here in Uptown, ensuring that communities can remain economically diverse. $5.7 million can help a lot of families pay their rent for a long time. 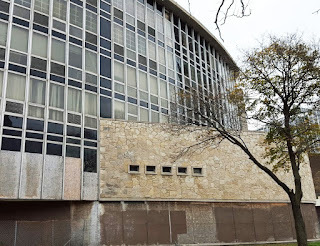 The religious order that owns the property would get a very nice sales price from the developers with which to continue its charitable work, which includes working against human trafficking and helping immigrants and refugees. The Sisters have been eager to sell Maryville for years. 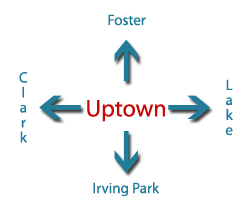 Uptown would have more new residents to build up the tax base and create a more vibrant community. The Clarendon Park Fieldhouse would receive nearly $5 million to start the process of rehabilitation which it sorely needs, and which the Park Department says it cannot provide. It's not a done deal until the DPD and City Council give thumbs up, but it's closer than it's been at any time since the idea of a TIF and property development were first thought up, back in 2009. This project in NO way deserves public subsidies. The TIF Program has long since degenerated into a clout-driven gum ball machine dispensing tasty TIF subsidies in the millions of dollars. Since TIFs started here we've dropped over $3 BILLION on private developers. 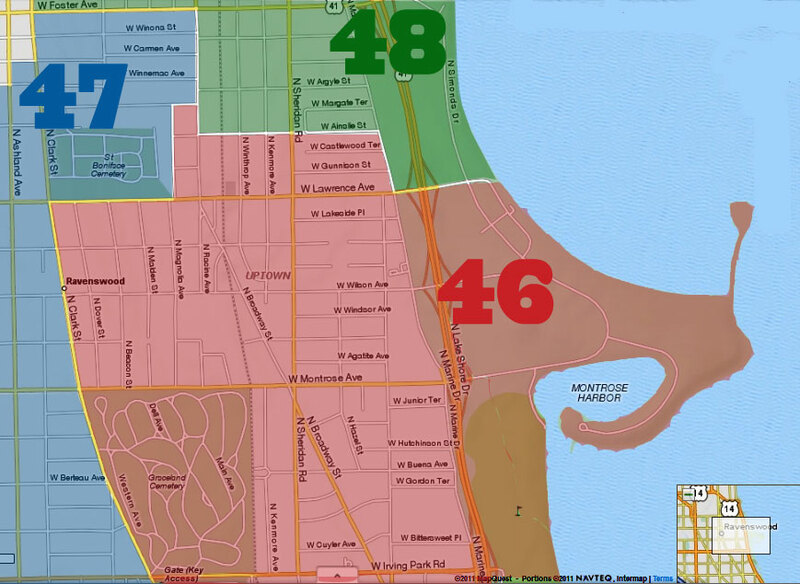 If you want ALL the details of the TIFs in the 46th ward - or any ward in Chicago - look to the TIF Illumination Project (http://www.tifreports.com). Contact us at info@civiclab.us. Chicago is NOT broke. I'm curious how long the TIF district is in effect? At what point will the property taxes generated by this development be available to the school district and other taxing bodies that are currently shut out? A TIF is usually in effect for 23 years. This one was designated in 2010 by former alderman Shiller and according to the city will run through 2034 unless it is terminated early. Although the TIF has been in effect for six years, there is no money in the fund because the property is tax-exempt. As long as it continues to be owned by the Sisters, it will generate no property taxes. Before it was owned by the Sisters, the property included a tax-exempt hospital called Lake View Hospital. The building that housed Lake View Hospital (SW corner of Agatite and Clarendon) was built in 1910. For over a century, portions of the property have not paid property taxes. At the point the property is bought by developers (as long as those developers are not tax-exempt entities), it will begin to generate property taxes. If this proposed project goes through and the property is bought this year, the TIF has 18 years remaining, and after that, all taxes generated by it will go to the city and not the TIF. Good to hear that this project is moving forward. That corner has been an eyesore for too long. 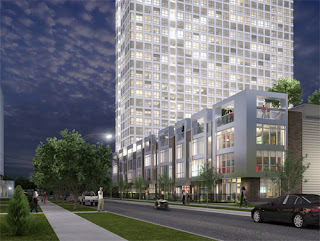 We need move development in Uptown. Wait so basically the developers are asking for $15.8 million in taxpayers money to fund the project but then turn around and say they are putting $5.7 million into Low income housing trust and $5 million to park district? Thanks for stealing $16 million, but being so generous to kind of return $10 million and like it's a goodwill gesture. I understand the TIF process here and would rather support this one than the TIF for Uplift school which gives nothing back to the taxpayers forced into this. Basically, there is nothing generated here now, so borrowing to pay back more into the community later is our only choice. I get it. Lets do it. I agree, we're investing in your community. We will recoup the 5 million that was "stolen" exponentially over time. The City "steals" your money whenever you pay your cell phone or cable bill, or a buy a bottle of wine. They funnel that money to money pits like Stroger or the CHA. Not sure why spending our cash to better the community is such a problems for some folks. It's called investment folks. I'm happy to hear this project is finally moving forward.